When just a child in her native Netherlands, French Garden House proprietress Lidy Baars began developing a passion for antiques – one so strong that she taped tiny scraps of paper with the phrase “belongs to Lidy” to her favorite pieces of her grandparents’ furniture. At 8 years old, the budding entrepreneur moved to California, and as a teenager, she preferred spending money on heirloom collectibles, rather than the jeans her friends favored. Visit Lidy’s gorgeous online shop at FrenchGardenHouse.com and follow her on: FGH Instagram. FGH Facebook. FGH Pinterest. FGH Twitter. 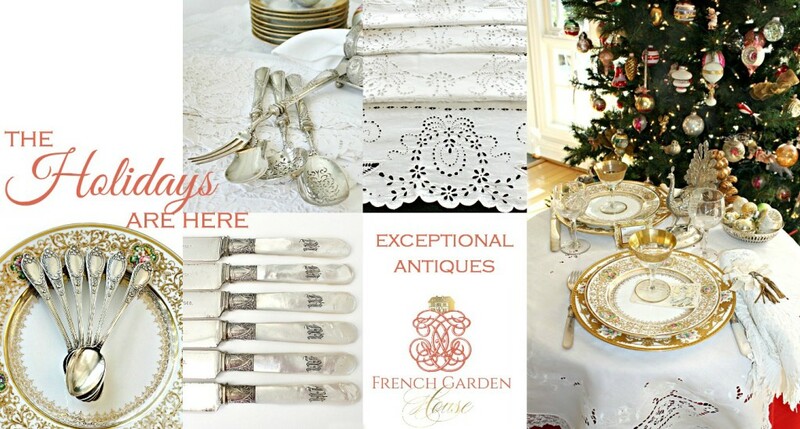 Shop for the best in French Antiques, furniture with the patina of age, vintage accessories to delight, and treasures that make your home fresh and beautiful. Lidy and her business have been featured in many magazines and published online, currently she is featured in Victoria Magazine. See “Enchanted by Toleware,” on page 43 of the October 2015 issue of Victoria magazine. Here is the link to her featured article online in Victoria Magazine.